I’m saying one and only as it’s not only Dublin’s sole niche perfumery, it’s also Ireland’s only niche perfumery as I’ve been told when I was there. 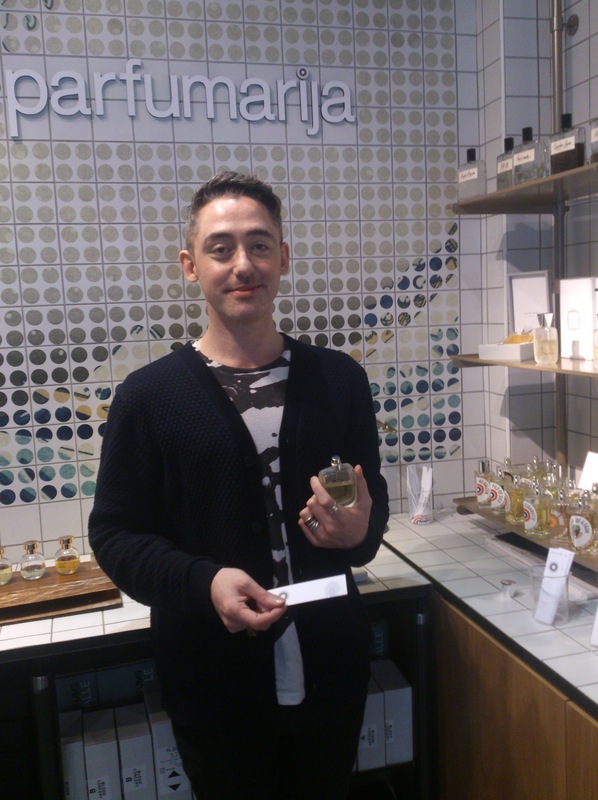 Personally, I love the name as it’s a play on words, perfumery is called “parfumerija” in Croatian (and most of ex-Yugoslav countries) and the owner’s name is Marija (she’s Macedonian) so there it is – Parfumarija. I didn’t spend nearly enough time in there as my group was waiting for me, but the little time I did spend there was great. He talked me through the novelties they have and through some perfumes I haven’t had the chance to try yet, as they aren’t available in Croatia. He also gave me the new F. Malle to try – I can’t remember the name, but it is Carlos Benaïm’s new scent by F. Malle. It’s a magnolia perfume and honestly, the beginning didn’t really wow me due to my idea of magnolia watery-green scent smelling like botanical garden, but its development gets more and more interesting and I want to smell it again and give it more time and thought. For the first time, I got to try Ys Uzac line and I must say I was rather impressed. There were only 4 perfumes in the line, Pohadka, Monodie, Metaboles and Immortal Beloved. And in all the hurry I remember liking Pohadka and Monodie rather a lot, but I would need to re-smell the whole line again for a better memory. 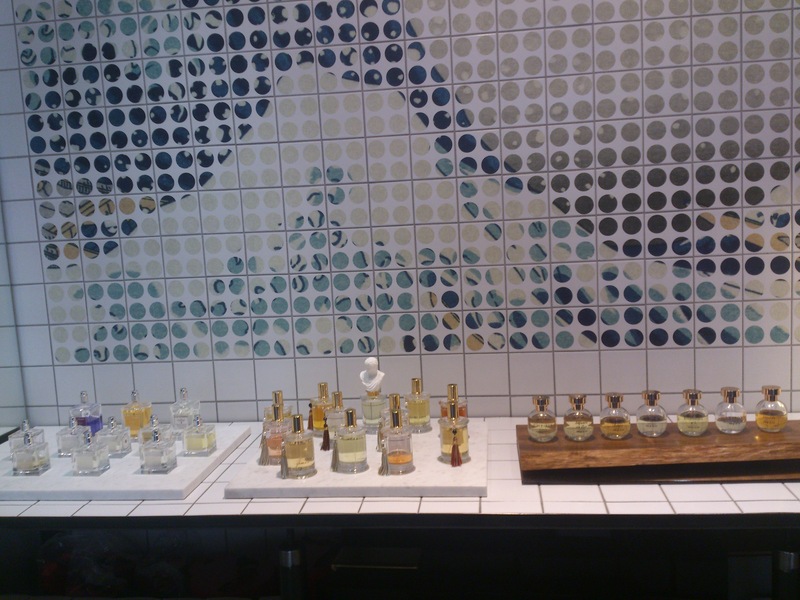 It seems I was there only for the experience of a new perfumery but even so, I loved it. I finished my quick smelling escapades by smelling Aqua Sextius by Jul et Mad which Freddie said reminded him of Womanity (luckily for me it didn’t). But I understand why he would say it. Glad you liked my take on Aqua Sextius, good you didn’t find it aquatic or ozonic, I don’t find it that way at all. And allow me to make a short straightening: Aqua Sextius is a perfume extrait, not EdP. Thank you for the tip. 🙂 I could always say “e” stands for extrait. 😉 I’ll remedy that. That’s what I though Freddie said, but I wasn’t sure so I just skipped the name. Although it certainly fits the perfume. Yes, you are right. 🙂 I didn’t have time to properly smell them and then I was a bit worried about taking them on plane even though I know that would have been fine. I haven’t smelled any of the new perfumes you’ve mentioned: I’m chronically behind new releases (and not really worried by that any longer though I want to try all of those you tried, especially Jul et Mad). Undina, I’m chronically behind as well so this served as a quick introduction to some of them. Love hearing about perfumeries. This will be a good one to add to Perfume Shopping Around the World, especially if it’s the only one in Ireland. I guess Undina will have to send us all an updated list – there are probably some other perfumeries that need adding to the list. Oh, Freddie looks awfully like my friend’s husband Pat – if you can imagine him being from Omagh up north, in his late 50s and a tax inspector. 😉 And I must confess I was as intrigued by the tiles used in the shop as the brands carried, on account of my current obsession with all things bathroom related. 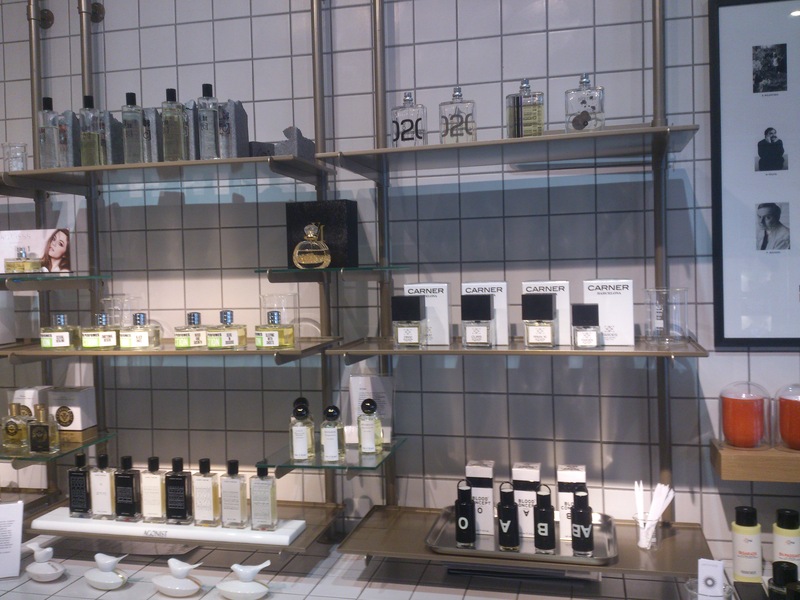 Looks like a well stocked perfumery – it’s got Carner Barcelona, I see. I wish more places would stock Ramon Monegal, though – there is such a dearth in Europe.